People of all ages were paying their respects to Whitney Houston outside New Hope Baptist Church in her hometown Newark, New Jersey on Thursday, February 16th. It was a gloomy, rainy morning and the fence outside the church was no longer visible due to the plethora of flowers, balloons, pictures of Houston and posters covered with messages and signatures. Despite the melancholic mood, viewers outside New Hope shared why they were there and their personal stories. “She was a legend,” said 27-year-old Peter, who moved to Newark three years ago from Miami. “I just came to pay my respects and see and read what other fans did. People really loved her. Back then, I never would have thought I was going to come to Newark and so was she. There is no denying—she was a legend” he repeated. A Belleville resident the same age as Whitney agreed, “She was a religious person and so am I. Maybe she had her issues, but I don’t go to church every Sunday and I have my issues as well,” said 48-year-old Mike who was a huge fan and attended several concerts. “She was an absolutely breathtaking singer. A piece of my heart is gone with her, she was one of my favorites—or else I wouldn’t be here,” he concluded as he walked to sign a small message on a poster board. 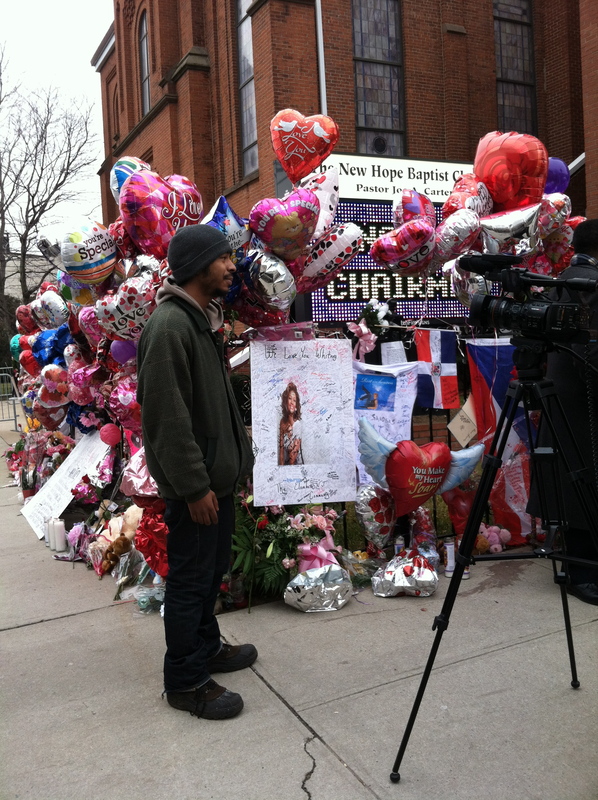 A fan is interviewed by a local news channel outside New Hope Church in Newark, NJ. 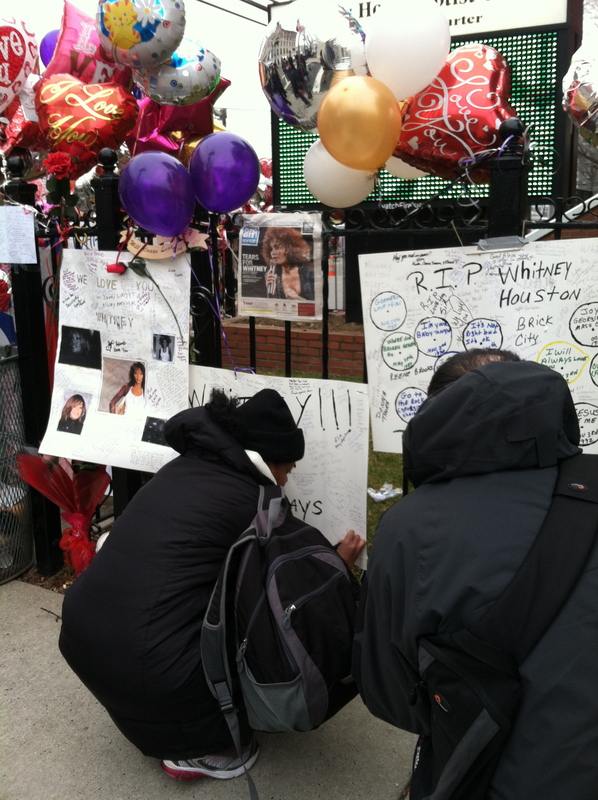 Several Newark residents were standing and reading messages and humming to popular tunes by Whitney. “Oh, listening to her got you out of that funky mood you felt,” said 44-year-old Eban Waalis. 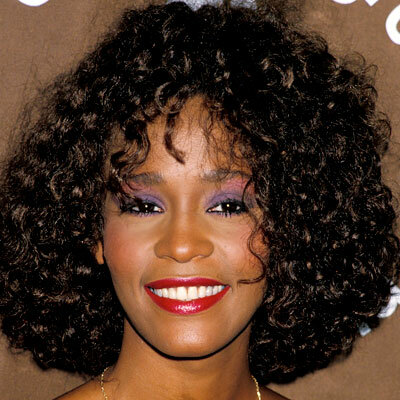 “I would be listening to her album on my Walkman going to school.” Waalis said one of Whitney’s famous songs actually helped him in a romantic, murky situation. “In 1986, I had a breakup. I walked outside her window and played our favorite song, “You Give Good Love,” and we got back together. I don’t know if you kids do this now, but it’s a true story,” he said. “She was very giving, she never forgot where she came from. People say she did this, she did that—but that’s not who she was,” Waalis said.